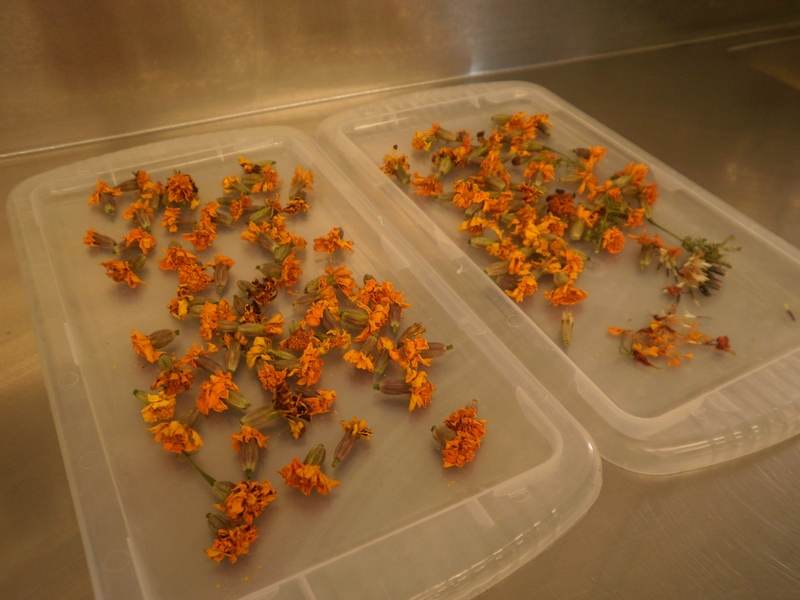 The calendula (Calendula officinalis) flowers are drying nicely. At this point I can make an olive oil infusion with the flowers, or I can grind the flowers to make a powder. I am going to make a powder. I doubt that I get much powder from this batch of flowers. I believe it would take many, many more flowers to produce even a cup of calendula powder. 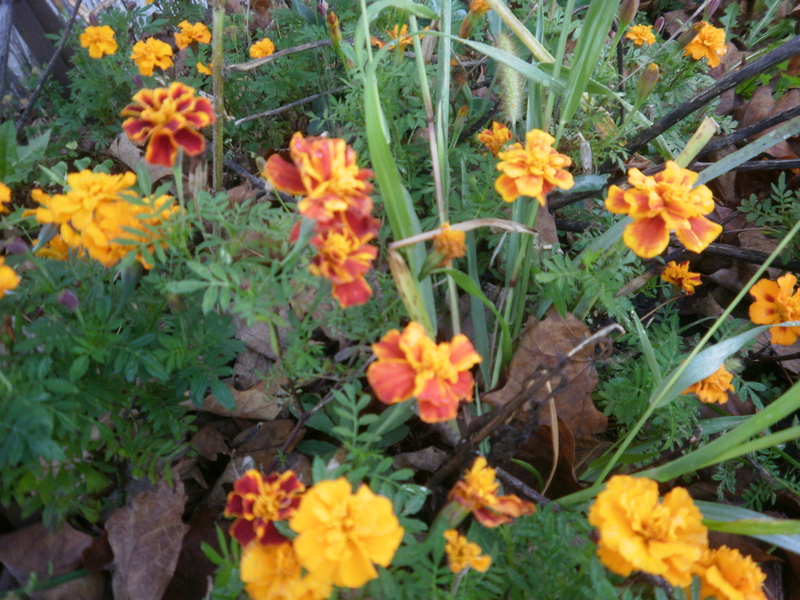 The calendula powder, or flowers infused in oil, will be an ingredient in goat milk soap. A few years ago I used the calendula in a recipe for cleanser (here and here), and ended up using it all winter as a salve. Working on a farm with water buckets, birthing kids, cold weather, occasionally causes small cracks in the skin of my fingers. The salve worked great for the skin problem, and then I discovered how wonderful it was for lips as well. And it smelled wonderful! I will post photos of the calendula goat milk soap here. It will likely be a small batch, definitely a limited edition! We had a very frosty morning. I had better pull the calendula before it does a complete disappearance this season. I am thinking dried (powdered) calendula for soap, or petals in soap, or perhaps an infusion in olive oil (leading later to an infused salve). The possiblities of color and usefulness are numerous! Enjoy your weekend. Hope you see some gorgeous sunshine like we are! P.S. Ignore the weeds in the photo. Weeding is the last thing I have time for lately!